Algae research is a well-funded subject for science researchers, especially at Ohio State University. According to The Columbus Dispatch, Ohio State University has received $8.7 million in federal funding for algae-related projects. The U.S. Department of Energy gave $7 million to researchers interested in using waste water to grow algae biofuels, while the National Science Foundation gave $1.5 million for a project concerned with discovering the environmental impact of hazardous algae on Lake Erie. 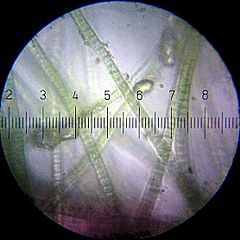 The project researchers are specifically interested in algae’s effects on climate change. Ohio State University researchers also received $150,000 from the Ohio Sea Grant Program to study the liver toxin concentrations on Lake Erie due to blue-green algae.